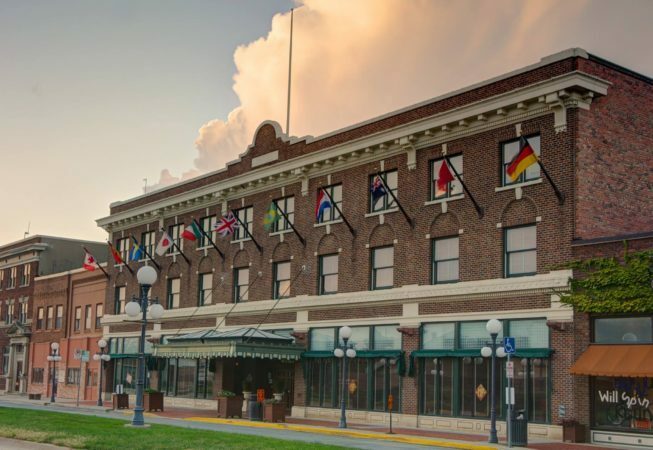 This award-winning historic hotel in Perry, Iowa offers 40 individually decorated and themed guest rooms, as well as a library, fitness center, spa, on-site bowling alley and several dining options. The hotel is frequently host to live music. If you are staying with a group or business, there are four separate meeting rooms available, as well as team building packages, audio/visual availability, and catering. Approximately 40 miles from Winterset.